By default, whenever you make a full backup of your iPhone to either iTunes or iCloud, it automatically includes Apple Watch data as well if you have one paired with your iOS device. But what if you want to manually force a backup of your Apple Watch? 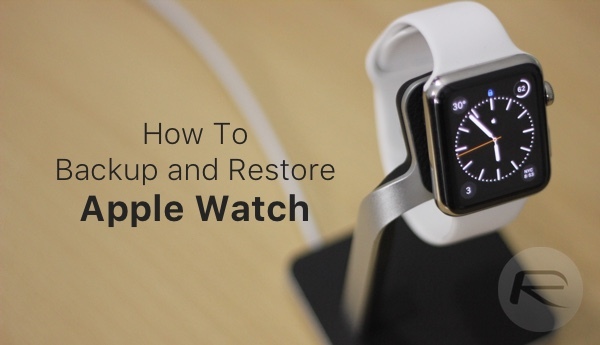 In this guide we will show you how to force backup your Apple Watch independent of iTunes or iCloud and then restore to it later on the same Watch or a new one. Workout and Activity calibration data. Credit or debit cards used for Apple Pay on your Apple Watch. Passcode for your Apple Watch. Forcing a backup on your Apple Watch isn’t as straightforward as Apple doesn’t provide any clear option for it. The trick to force a backup of the Watch is to unpair the wearable from the connected iPhone. Apple Watch automatically creates latest backup of the data before it unpairs from the connected iPhone. Just make sure that the iPhone and your Watch are in close proximity for Bluetooth communication for the backup to successfully take place. Step 1: To begin, simply launch the Watch app on your iPhone. Step 2: Now tap My Watch > Apple Watch followed by Unpair Apple Watch. Step 3: You may be asked to confirm the unpairing, so do that. That’s it. Your Apple Watch will automatically save a backup of the device on your iPhone before it unpairs from the device. You can now safely reset your Apple Watch. 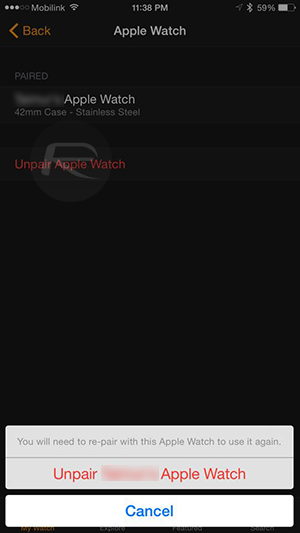 Restoring an Apple Watch, new or existing after a reset, is simple if you have the backup saved on the iPhone you are trying to connect it with. Step 1: Power on the Watch by holding down the side button till you see the Apple boot logo. Select the desired language when asked to. Make sure your iPhone is connected to a Wi-Fi or cellular network, and has Bluetooth turned on. 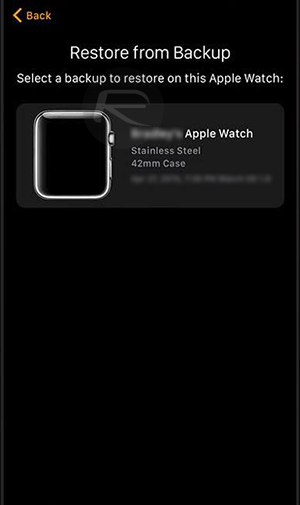 Step 2: Launch the Watch app on your iPhone and hit the Start Pairing button. Step 3: Tap Start Pairing on the Apple Watch as well, and then moving it into the iPhone camera’s viewfinder to pair up the two devices. Step 4: Now that the devices are paired, the companion app on your iPhone will offer you two choices: either to setup the Apple Watch as a brand new device from scratch, or restore from a previously saved backup. Tap the Restore from Backup button, select the latest backup, and follow the on-screen instructions to restore it. That’s it! You will now need to let your Apple Watch be for a while as the iPhone restores the backup to the wearable.